I was only 6 when the original movie came out. And the world fell head over feels in love with John Travolta and his ever so salacious version of Tony Manero. Back in a time that age ratings were not a big deal, and Disco was King. I was probably 8 when I was first totally blown away with the disco tunes of The Bee Gees and Manero strutting his stuff at the 2001 Odyssey. When you are 8 you don’t notice the dark gritty side of the movie its all about the Disco. So when I went to see the West End Show many years later as an adult I was horrified at the dark undertone of the story my mind had glossed over when watching the movie. I remember leaving having enjoyed the show but not raving about it. So was excited and intrigued to see how the updates Bill Kenwright has made to the show, impacted on the audience experience. Last night I donned my dancing shoes and channeled my inner 70s chick to check out the new and dramatically improved Saturday Night Fever. 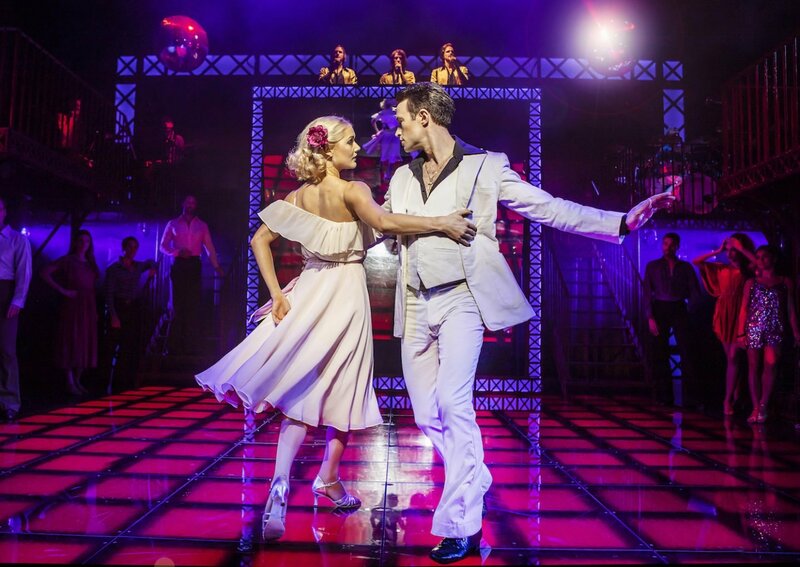 It’s 1976 in New York and Tony Manero (Richard Winsor) has only one ambition in life, despite growing up in hard hitting Brooklyn, having dead end job and abusive father, all he wants to do is dance. Every Saturday night he hits the dance floor at the 2001 Odyssey, wowing the floor with his phenomenal moves. When he meets Stephanie (Kate Parr), who also dreams of a world beyond Brooklyn, he is instantly attracted to her and throws aside Annette (Anna Campkin) who is desperate to be not only his partner but true love, to train with Stephanie for a dance competition. Whilst Tony is distracted with visions of becoming a dance champion and winning over Stephanie, life for many of those around him starts to fall apart. I honestly could not have anticipated how much it would blow me away. As soon as the music started and the Bee Gees (Edward Handoll, Alastair Hill and Matt Faull) started doing their thing the audience were transformed to a 70s disco inferno. Where disco balls spread twinkling lights throughout the theatre showering the audience in disco stardust. And cleverly coordinated stage lights supported a simple but clever set to create the most amazing scenes. And then came the dance floor! A with the genius edition of a tilted disco mirror that projected the multi coloured squares and dance moves into the audience in the most spectacular way, that made you feel as if you were right there. But also made it so difficult to sit still, as the cast expertly danced their way through some of the best tracks of the 70s, sang to perfection by the Bee Gees, with dancing that seemed to get better and better as the show progressed. Don’t get me wrong the dancing was extraordinary from the outset. But as the music and story built, so did the atmosphere and tension. Until the finale came and the whole audience jumped up to dance the last tracks out under the glittering disco lights. The whole cast were spectacular with Richard Windsor portraying the most gorgeous Manero with a sass and sparkle that could win over even the most die hard of Travolta fans. Those troubling dark scenes seemed to be played down, and the happy disco vibes pumped up, to create an electric vibe that you want to take away from a show that is set is the disco era. An era that was reflected perfectly without feeling dated. I certainly did not leave the Palace Theatre underwhelmed or horrified last night. 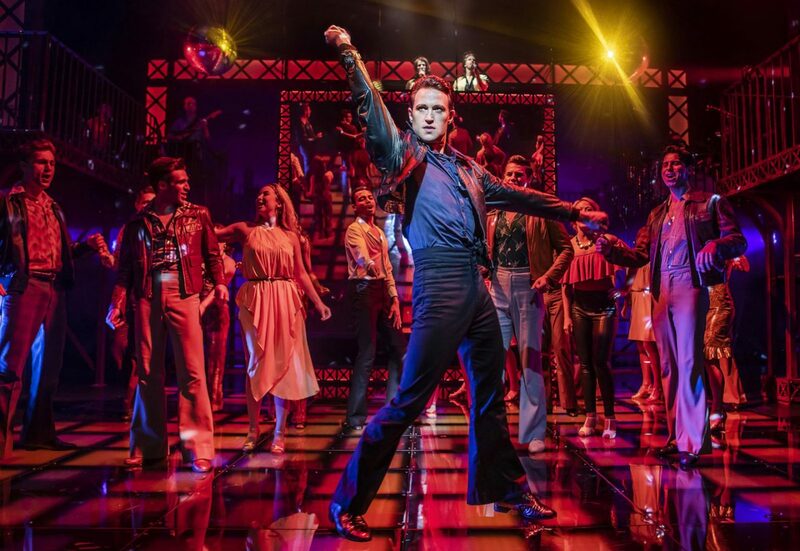 Quite the opposite, Saturday Night Fever is uplifting and exciting with a level of skill and talent that blew me away. 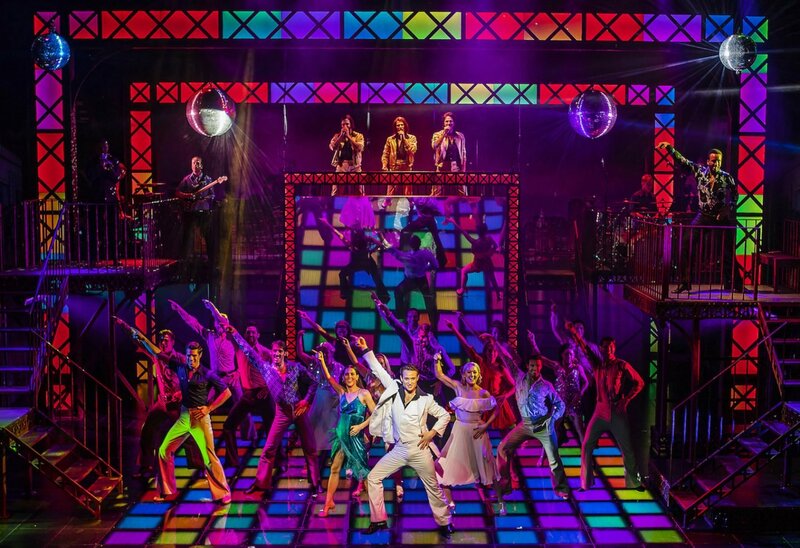 Saturday Night Fever is playing at the Palace Theatre Manchester until Saturday the 26th Jan and is then moving onto York. Check out those Disco Vibes to banish the January Blues. Disclaimer I was gifted the ticket for Saturday Night Fever, however all opinion and Disco Vibes are my own.